For the biscuits: Mix together flour, baking soda, baking powder, and salt. Cube butter and use hands to work into the dry ingredients. Work until the texture resembles cornmeal. Add buttermilk, ½ cup at a time, stirring well. Turn dough out onto a floured surface. Pat into a large rectangle, fold the dough, and pat out again. Repeat this process 4-5 times, creating layers in your biscuits. Pat flat into a half-inch thick rectangle. Use a biscuit cutter to cut 8-10 biscuits. Bake on a greased pan for 15-17 minutes, until biscuits have risen and cooked through and are golden brown on top. For the gravy: While your biscuits are baking, cook sausage and minced garlic in a large skillet over medium high heat. Cook for 4-5 minutes until sausage is browned. Stir flour into sausage and cook until the flour is completely mixed into sausage. Whisk milk into sausage and flour, stirring quickly as gravy thickens. 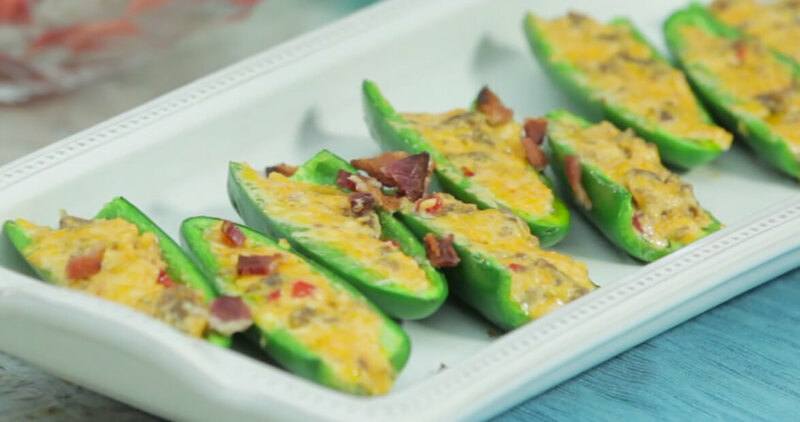 Remove from heat and season with sea salt and pepper. 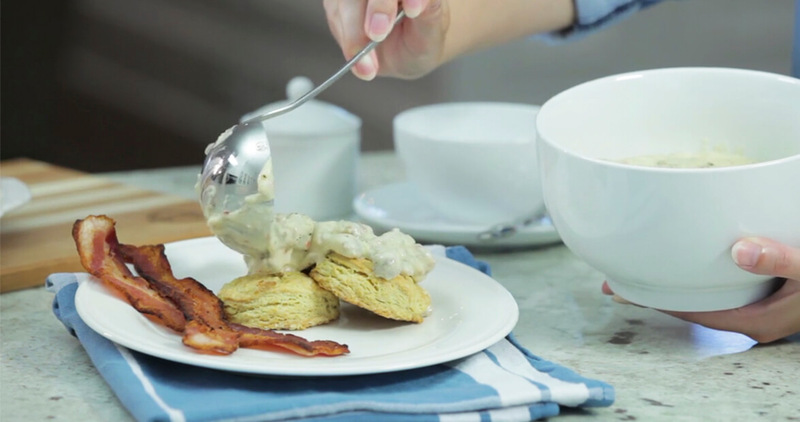 To assemble: Top biscuits with hot gravy and serve.